I'll admit that there's only so much roasted broccoli and kale that I can eat. 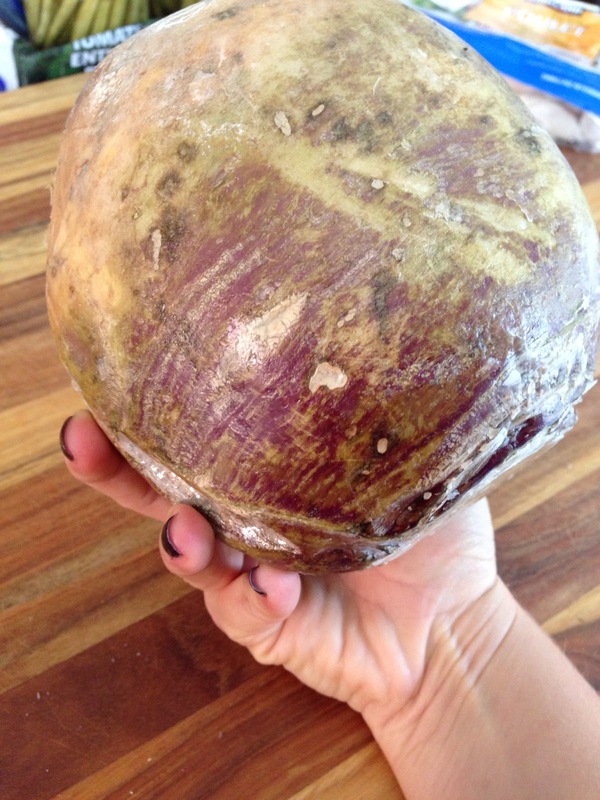 So I saw rutabagas at the store last time I was there and picked one up. My parents used to make 'fries' with them and this is essentially what I've done with this one, only I added some chili powder to the mix to give them a bit more flavour. Preheat your oven to 400*F and combine all the spices. 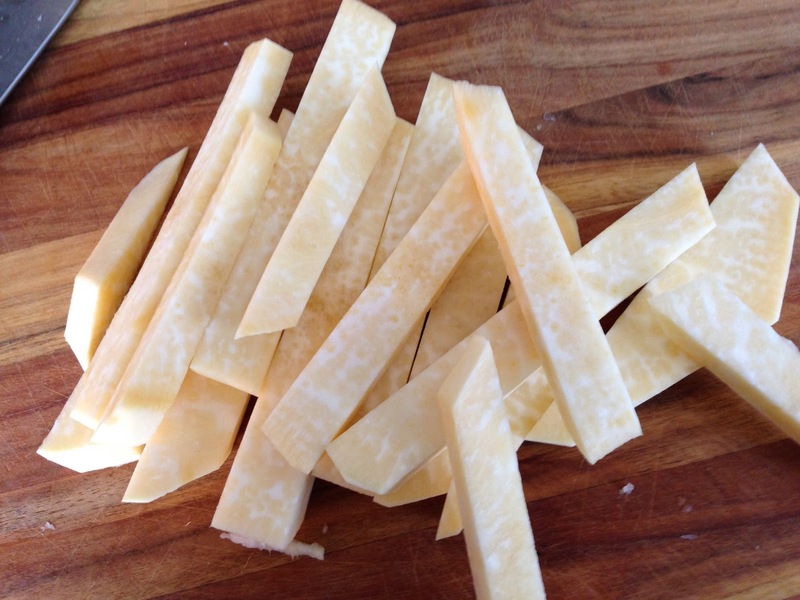 Peel your rutabaga and cut into strips. 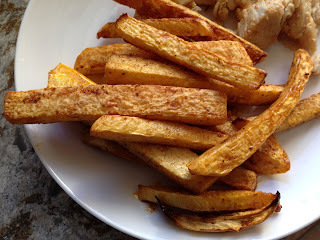 Melt the coconut oil and toss the rutabaga with the oil to coat. 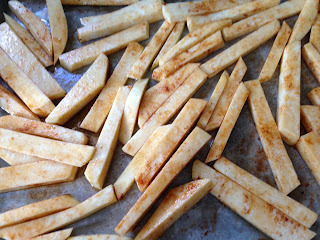 Place the rutabaga strips onto a baking sheet; sprinkle with the spice mixture and toss the strips with your hands to coat. Bake for 45 minutes, stirring or flipping the rutabaga halfway through baking.